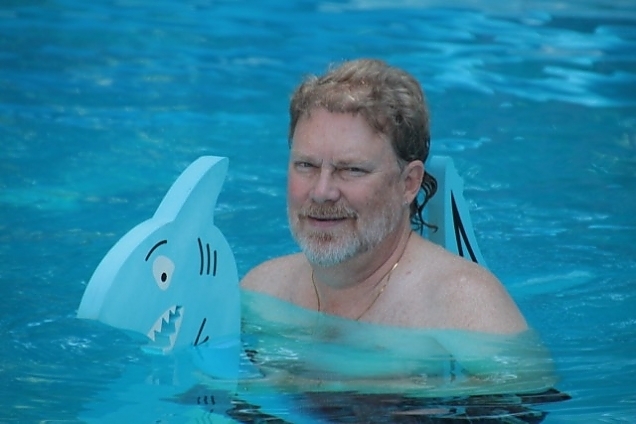 Yesterday, Lynne and I took a nice afternoon dip in the pool. And, later, after dark, swam a few laps in the wonderfully warm water. Tomorrow, the pool will be closed for the season. The pool heater has allowed us to swim earlier in the year and extend the season by a few weeks. The outside temperature was "cool", maybe in the mid-60s, and the pool was 84 degrees. It was like swimming in a bathtub. A fire in the firepit, some s'mores, lit tiki torches and a splash (or two) of rye whiskey also helped make it a great evening. It is a bit sad to think that it may have been the last swim for us in the pool (the "bitter" part). With some luck, we'll get the house sold before opening the pool next year (sometime around Memorial Day). That's the "sweet" part.